RSS (Rich Site Summary, or more commonly Really Simple Syndication) is a popular format for publishing a "feed" of content from a website. Blog articles, press releases, updates, or other regularly updated content are all logical candidates for getting a RSS feed. While not as popular as these feeds were a few years ago, there is still value in turning this regularly updated website content into an RSS feed and making it available to your site's visitors. Plus, since it's also pretty easy to create and add this feed, there's little reason to avoid adding one to your website. 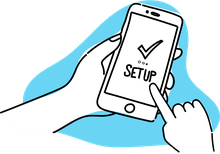 You can add an RSS feed to an individual web page or even add it to every page in your website should that be what you decide to do. RSS enabled browsers will then see the link and allow readers to subscribe to your feed automatically, or anyone can copy your feed URL and read your content with an online RSS reader. Readers who subscribe to your RSS feed get updates from your site automatically, instead of always needing to visit your pages to check if anything is new or has changed. Additionally, search engines will see your RSS feed when it's linked in the HTML of your site. Once you've created your RSS feed, you'll want to link to it so your readers can find it. This makes it really easy for them to know that you have a feed and know exactly how to subscribe to it. There are two primary ways to link to an RSS feed: via a standard hyperlink and through a clickable image. Two Ways to Link to an RSS Feed. If you want to get fancier, you can use a feed icon along with your link (or as the standalone link). 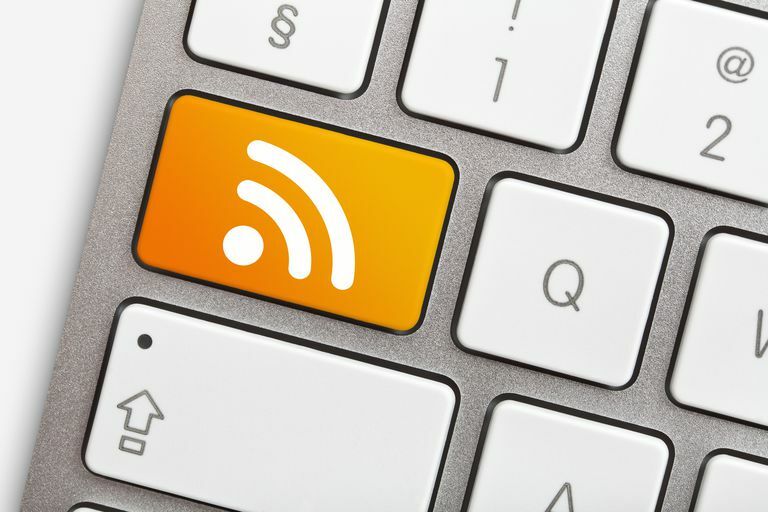 The standard icon used for RSS feeds is an orange square with white radio waves on it (see above). Using this icon is a great way to let people immediately know what that link goes to. At a glance, they will recognize the RSS icon and known that this link is for an RSS. You can put these links anywhere on your site that you want to suggest people subscribe to your feed. Of course, the HTML can be edited to your liking, too; you can adjust the size of the icon (width and height), img border value, alt text, src link for the RSS image, and href link for the link to your RSS feed. Many modern browsers have a way to detect RSS feeds and then give the readers an opportunity to subscribe to them, but they can only detect the feeds if you tell them they are there. Linking to an RSS Feed From a Website's HTML. This text has to go inside the <head> and </head> tags to work properly. Then, in various locations, the Web browser will see the feed, and provide a link to it in the browser chrome. For example, in Firefox you'll see a link to the RSS in the URL box. You can then subscribe directly without visiting any other page. While still a popular format for many readers, RSS is not as popular today as it once was. Many websites that used to publish their content in RSS format have stopped doing so and popular readers, including Google Reader, have been discontinued due to ever dwindling user numbers. Ultimately, adding a RSS feed is very easy to do, but the number of people who will subscribe to that feed is likely to be small because of this format's lower popularity these days.